It seems to be a tradition for movies to have a video game released side by side. Many people find games based off movies to be absolutely terrible, right before admitting there are only a few worth mentioning. And Jurassic Park for the Super Nintendo Entertainment System is no exception. Exploring such a dangerous world full of hostile dinosaurs will freak out any newcomer. The atmosphere is so defined for its time, it surpasses even the likes of certain AAA Nintendo titles. Fusing a top-down adventure, with a collect-athon and first person exploring segments that can be related to the likes of Doom, should make anyone who is a fan of the movies, desire this game be re-released. Quite possibly the best Bomberman title to ever hit consoles, Super Bomberman 2's absence is quite upsetting. Even though it can't live up to what can be achieved by today's standards, what content SB2 does have is more than most multiplayer games on the system have to offer. The campaign is something any fan of the series would love. Hours of navigating through levels, one more treacherous than the last, creative gimmicks and puzzles and some of the neatest bosses in the franchise, makes the single player experience highly recommended. Unless there are legal issues the media is unaware of, I honestly don't see an excuse to why we have yet to see Super Bomberman 2 (or its prequel), on the Virtual Console. Jumping from 8bit to 16bit is quite a big leap for our blue bomber. While it may not be his best role, Mega Man 7 lives up to expectations while blowing most of its predecessors out of the water. Being the only Mega Man (classic) game up until this point to have an actual plot, brings substance to the series prior to the seasonal releases on the Nintendo Entertainment System. Oh and did I mention Bass makes his debut in Mega Man 7? It's only a big deal. This is a no brainer. No, wait, this is a huge brainer. Cooperatively playing this game is an experience unparallelled. 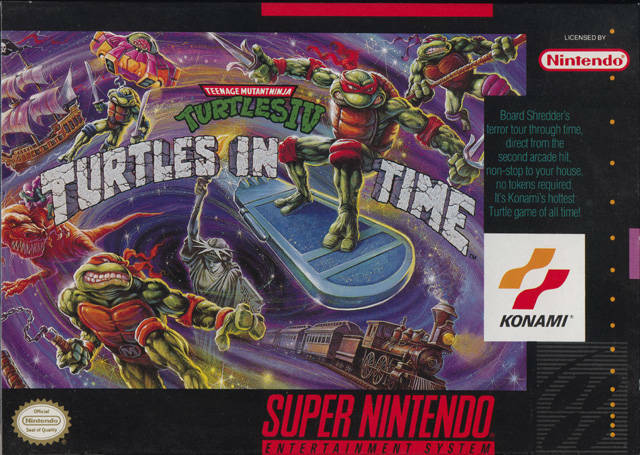 Each level's theme fits perfectly with the turtles. The enemies are always fresh and in your face. And at the end of the level you're faced with some of the gnarliest bosses ever devised. In 2009, PlayStation 3 and Xbox 360 owners were treated with a remake, while Wii owners were left sitting with nothing. The obvious legal issues are thrown out the window and it would take little effort to emulate it to the service. So what's taking so long? 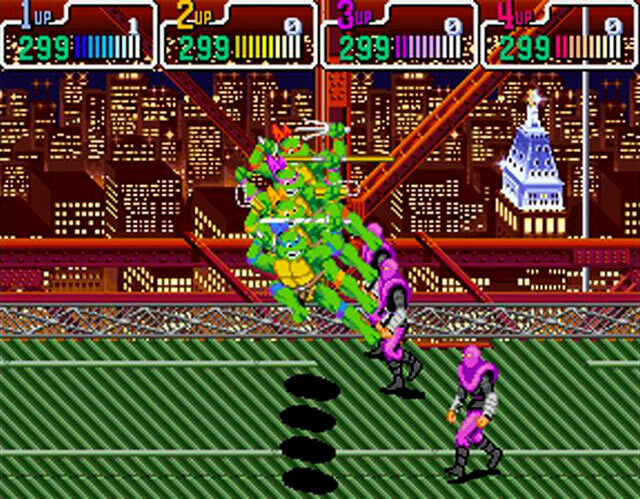 The Virtual Console is the perfect service for Turtle fans to live and relive one of the best beat 'em ups of all time. Super Mario World 2 Yoshi's Island is not only the pinnacle of 2-D Mario games but it's also the pinnacle of platforming, period. Unprecedented level designs with layouts every developer should envy. Every individual level has a different layout with an entirely different way of doing things. If you're not avoiding baby snatching monkeys in an awesome jungle you're avoiding Lakitus throwing spiked bombs at you in the sky. The difficulty is something to shine; you won't be running through this Mario adventure with ease. If your a perfectionist this will last you longer than some 3D Mario titles. The soundtrack blows all of its predecessors out of the water. There is something wrong with you if at some point you're not bobbing your head or soaking in this perfection. With the Super FX chip in the way, Yoshi's Island might never see the day of light on the Virtual Console. Nintendo seems to be having trouble with it emulating properly and with it on the Ambassador program, they might see it as an excuse to not ever releasing it on home consoles. We might have to wait until as late as a year or two into the Wii U's life, until we even hear word of it on the Virtual Console. Until that day, lets all cross our fingers Nintendo figures out a strategy to get this masterpiece into our hands! Man for the VC all I want to see is Extreme-G, Conkers Bad Fur day, Perfect Dark and the Original Golden Eye. I remember being blown away by the 3D first person segments of Jurrassic Park. The only other game on the list that I was privileged enough to have the chance of playing was Megaman 7, and though it was an undeniably good game for some reason I still preferred the NES Megaman games over 7. But great list ! and thank you for contributing on the WiiWareWave Features page ! Sorry have to make a short list. Your list is nice too SKTTR. Since Star Fox uses the Super FX chip, I sort of figured Nintendo would never hop on it considering E3 and the Wii U's launch is around the corner. As said in the feature, we might not see games like Mario Paint, Star Fox and Yoshi's Island until Wii U is well into its lifetime. As for Earthbound, I purposely skipped it. The game is not only very obvious to list but Nintendo has had it on the radar since 2006. It's 2012 and we have no hint to when its ever going to be re-released. Time will tell I guess. Another top list feature! Nice article. Good list, Viewtiful, I actually agree with all the entries save for Jurassic Park (I've never played it in all honesty). Couldn't possibly agree more with the number one pick. I already own the game in numerous forms, but I'd be glad to purchase it again and gift it to those in need. My favorite game of all time. Mega Man 7 would also be a great candidate, since the cartridge is a bit too expensive these days.